In 2015 I became a nurse blogger. This venture was born out of my frustration with burnout as a registered nurse and my desire to create a more flexible work life balance. 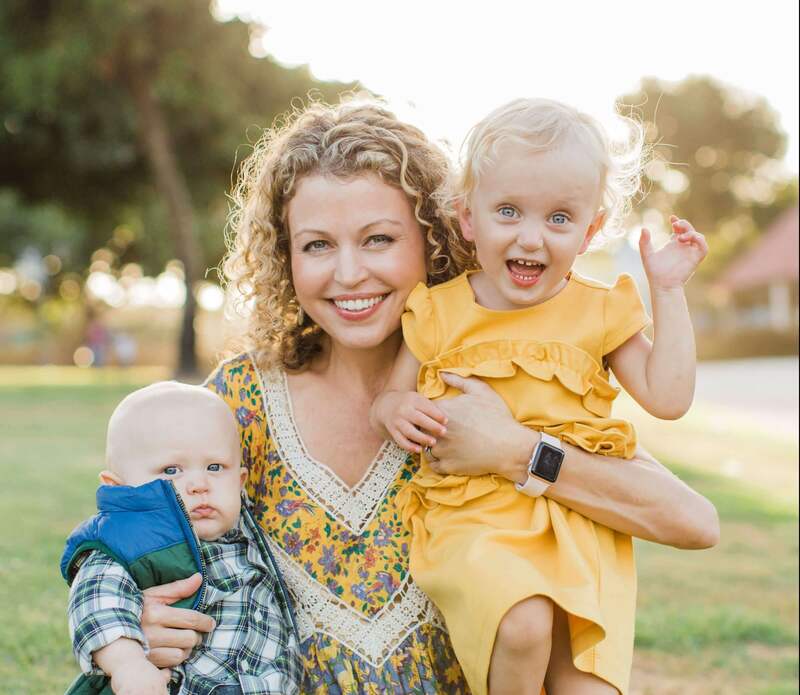 For clarity, my niche (or at least the niche I am striving to create) is: “nurse mom lifestyle blogger with an emphasis on self-care and wellness.” My goal has always been to write about things that interest me in regards to nurse lifestyle and living a healthier, more purposeful life (with a little mom stuff thrown in). Once upon a time I studied journalism. Way, way back in the day, before I ever even considered becoming a registered nurse, I was a striving college student at California State University, Chico. As a journalism major with a minor in women’s studies, I wrote for our student newspaper, The Orion, and I loved it. Each week I met with other writers to discuss ideas and topics that were going to write about that week. I enjoyed the teamwork and even though I felt way in over my head a lot of the time I absolutely loved the challenge. Each week I met new and interesting people I would have otherwise crossed paths with. I interviewed athletes, a magician, doctors from the student health center, professors, and lots and lots of students. One time I interviewed a women who made and sold her own essential oils and she gave me a few samples to take home with me. My 21-year-old brain was fascinated with the people I met. The internet was in its earlier stages and many people still read the newspaper in print form. So, each Thursday I looked forward to walking on campus and picking up a copy of The Orion to find my name listed above my article. A bad internship altered my career path. I loved journalism. But my emphasis was in public relations, which I disliked immensely. One summer break, I did a 3 month internship at a celebrity public relations firm in Los Angeles. I worked as an assistant to the the president of the firm. He had me ghost writing about how he was like Abraham Lincoln. If that sounds weird, it is because it was. I hated it. I felt used. At the end of my 3-month internship, I left Los Angeles feeling like I wanted go in a completely different direction. As I drove back up to Chico to complete my senior year, I considered new career options. As graduation etched closer, I also started wondering how I was going to survive financially out in the world. The thought of paying my own way in the world and paying off my student loans filled me with worry. I went from inspired writer to salesperson. After graduation I excepted a position selling medical equipment to hospital operating rooms. I thought it was best to follow the path that I thought lead to faster money. Frankly, it did. Soon I became enveloped in the business of medical equipment sales. And unfortunately I didn’t write again for another 9 years. Medical device sales is an extremely competitive and stressful industry. But I continued to work hard. In fact, I was actually very good at my job. I consistently exceeded my yearly quotas. As a result I made more money every year, which made it harder and harder to move into other more clinical roles. I wanted to grow clinically and help my patients directly. Those who know me, know that I’m not even the “salesy” type. However, I did enjoy talking about medical equipment that could improve the quality of life for our patients or even be life-saving in some circumstances. I didn’t realize it at the time, but what I really wanted was to be an actual healthcare professional who worked with patients directly. Just for fun I toyed around with so many career ideas. I took an amazing photography class in Venice (I’ll be a professional photographer! Yay!). I love practicing yoga so I thought becoming an instructor would be great fit (I’ll become the next big yoga guru!). I I even considered becoming a professional dog walker at one point and started writing a business plan! (Dogs are awesome, what can I say?). So, I did. And I have been working as a nurse at a major teaching facility for the last 6 years. I went back to college for a second time. After three years of nursing school I graduated with a bachelors of science in nursing and I had a whole new journey ahead of me. I began my career specializing on a neuroscience and stroke unit and earned certifications as a Stroke Certified Registered Nurse and Public Health Nurse. In 2017, I began a new phase in my nursing career as an emergency room RN. I also complemented my practice by becoming an Urban Zen Integrative Therapist. My intention was to help treat my patients with a more holistic approach using yoga and in-bed movements, guided meditation, Reiki, and essential oils. (I didn’t know at the time, but these were topics that I would write about frequently as a nurse blogger!). An itch to write came back again. A few years into my nursing career I had an urge to write again. I missed the creatively I had when writing back in my early college days. In addition, I wanted to create a more flexible career path for myself now that I am a busy mom with two great kiddos. Becoming a nurse blogger was a logical next step. I am having so much fun learning how to make and manage a website. However, since I am already a busy ER nurse with two small babies I am very limited on time. I only have 5-6 hours a week to spend on the blog. But as my kids grow older and go to school the time will be there. Until then, I will just keep chipping away at it after the kids go to bed in the evenings. A nursing practice can take many forms. As I grow older (and hopefully wiser!) I am discovering that their are so many paths that nurses can take. The sky really is the limit as long as you work hard and are open to continually learning new skills. My goal is to create a career for myself were I can combine my journalism degree with my nursing knowledge and motherly experience. This is the first “career” I have ever had where I didn’t have to fill out an extensive application and interview for the position. For the very first time, I am warming to the idea of being my OWN boss. And I really like it! I love this post. It’s so honest about how you got to where you are. All of the experiences you had to get here have helped make you who you are. Nursing is great for opening so many opportunities in so many different areas. I’m trying to gather the courage to start my own blog using my experiences to empower others in nursing. Thank you for your comment:) I am so happy to hear that you want to start a nursing blog to help empower others in nursing! Having a blog is a lot of fun and I really enjoy talking about it. Nurses have a great opportunity to share their knowledge through blogging. What kind of nurse are you and what will your nursing niche be? 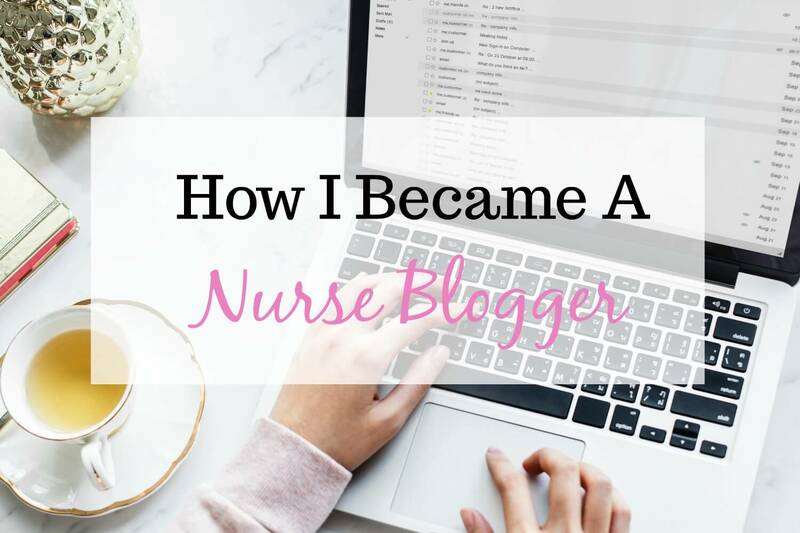 Let me know how your journey goes:) It takes a long time to build a blog that ranks on google and it is always good to network with other nurses with similar goals. Good luck!